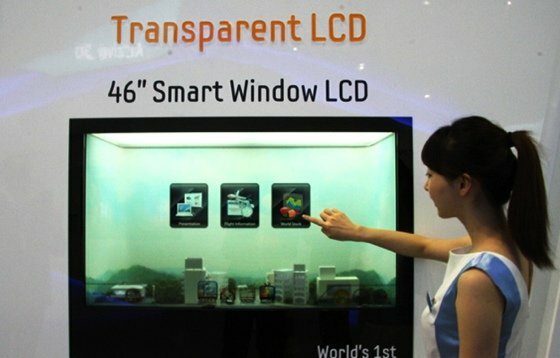 Samsung's 46in see-through LCD screen will go into production this month, paving the way for the transparent tech's appearance in ordinary folks' living rooms. Initially aimed at specialist applications - Samsung is thinking of shops, museums, railway stations, airports and such - it'll be a while before the Samsung see-through screen will be used in the home. Right now, it's too darned expensive. 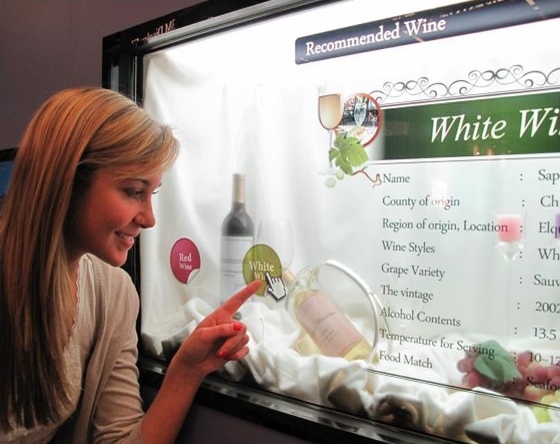 Samsung pictures the product being built into shop windows, allowing retailers to show interactives in front of physical products. For uses closer to home, imagine one of these in the door of your enormofridge, says Samsung. You can see when you're running out of beer and use the display, there fitted with a touchscreen, to tap out an order with your local off-licence.